China’s state-owned offshore oil and gas producer CNOOC Ltd said it is confident of achieving its spending target this year, the highest since 2014, as its responds to a call to build up the nation’s petroleum output and reserves. The company plans to spend 70 billion to 80 billion yuan ($10.3 billion to $11.8 billion) on exploration and production (E&P), CNOOC said in a press release, compared with an expected 63 billion yuan in capital spending for 2018. In response to the government’s call, CNOOC pledged last week to double its exploration activities and proven oil and gas reserves in China over the next seven years. The company is allocating more spending this year on domestic exploration and production, which will make up 62 percent of total expenditures versus last year’s 51 percent. 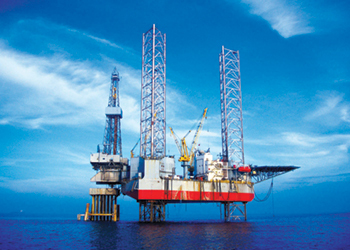 Domestic exploratory drilling will take up 12 billion yuan, or 76 percent of total exploration spending, while overseas work will account for the remaining 24 percent. The 12 billion yuan compares with 10 billion yuan estimated in 2018 and is nearly double to that of 2016. CNOOC expect to bring six new projects, including the Egina oilfield in Nigeria and the Huizhou 32-5 oilfield in the South China Sea, on stream in 2019, the company said. CNOOC’s domestic production will account for 63 percent of its total production in 2019, compared with 65 percent last year, the company said.